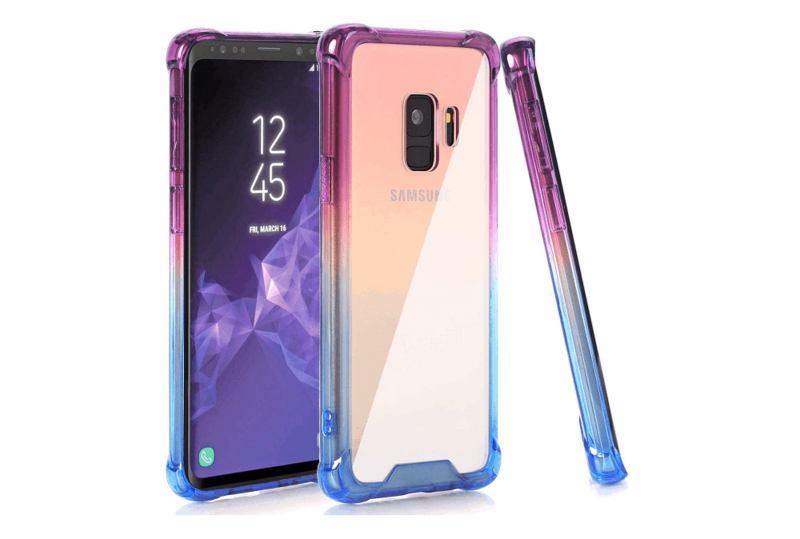 Looking to protect your smartphone investment with the latest Samsung Galaxy S9 case out there? Here are some of the top choices that we’ve hand-picked from the lot to bring to your attention. The South Korean tech giant stands today as the backbone of the smartphone industry, and it owes it all to Android. However, it wasn’t until the dawn of Galaxy series of devices that Samsung skyrocketed to popularity and the trend continues. The release of the latest flagship devices from the company, Galaxy S9, and S9+ may not have been ground-breaking, but it is definitely a step forward. While the numbers show that Galaxy S9 may not be selling as fast as the predecessors, the device a success nonetheless. 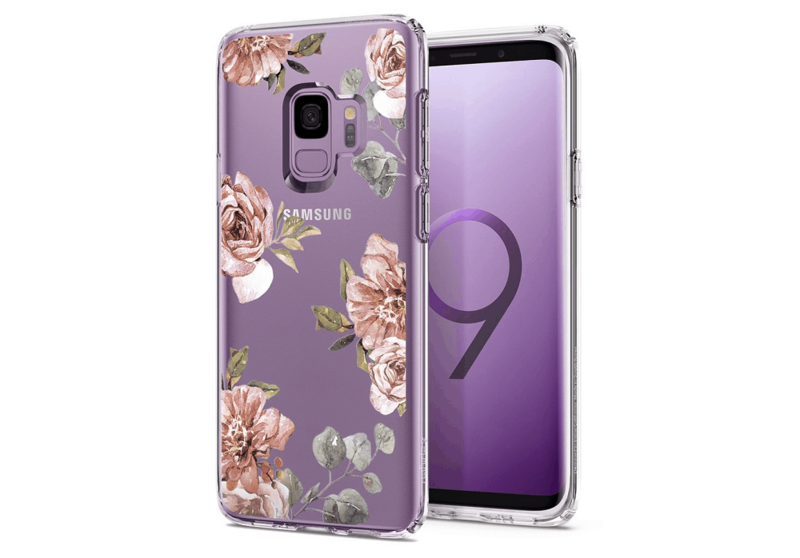 Thanks to the raging popularity of the smartphone, finding a Samsung Galaxy S9 case is not a difficult task. However, sorting through the hundreds of choices can seem not only tedious but an unnecessary task at times. Considering the premium price of the Galaxy S9 and its fragile dual-glass design, you can’t ignore the need for protection. Since not every user is the same, finding the ideal Galaxy S9 case that suits your style can’t possibly be an easy job. We’ve tried to simplify this process by breaking down the best protective cases based on different merits. While the world of third-party smartphone accessories is a gigantic one, there’s something about the official ones that stand out. Just like each year, Samsung has redesigned its accessories inventory to accommodate newer and more eye-catching cases. Ever wanted to enjoy the premium feel and quality of a luxury car seat on your phone? 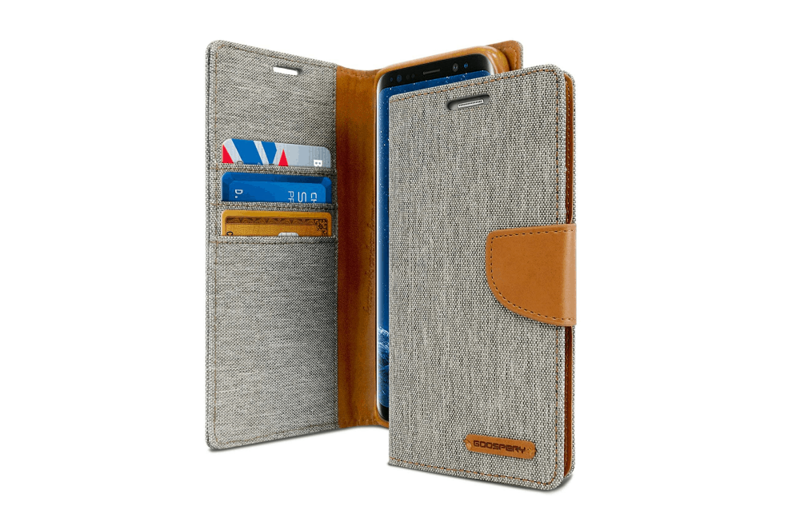 With the Alcantara suede case for the Galaxy S9, you can enjoy a lofty way of handling your smartphone. With durability in mind as well, you can get your hands on the soft and comfortable Galaxy S9 case in Red, Blue, Black, and Mint colors. In a world of silicone and metal cases, it is nice to see Samsung design smartphone cases that stand out of the crowd. 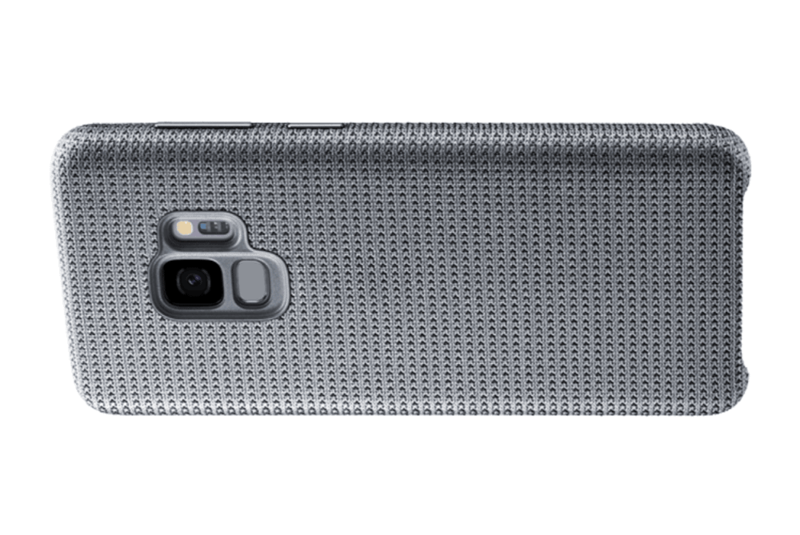 The Hyperknit Galaxy S9 case comes with a lightweight fabric that resembles the look and comfort of the materials used for premium sneakers. In just Red and Gray, the case is light enough to slide right into your pocket, while still being grippy in your hands. One of the most prized features of the Galaxy series has been AOD (Always-On Display), made possible through the AMOLED screen. The Clear View Standing Cover for the Galaxy S9 brings access to notifications on the fly while still offering robust protection from the back and front. The best part is that you can also simply fold back the cover and use it as a stand for easier horizontal viewing. The mesmerizing display of the Galaxy S9 that wraps all the way around the sides is made even more iconic with the back glass panel. However, this also leaves this premium smartphone quite vulnerable to cracking and breaking with a single fall. The only absolute way to protect your investment is with a rugged Galaxy S9 case. 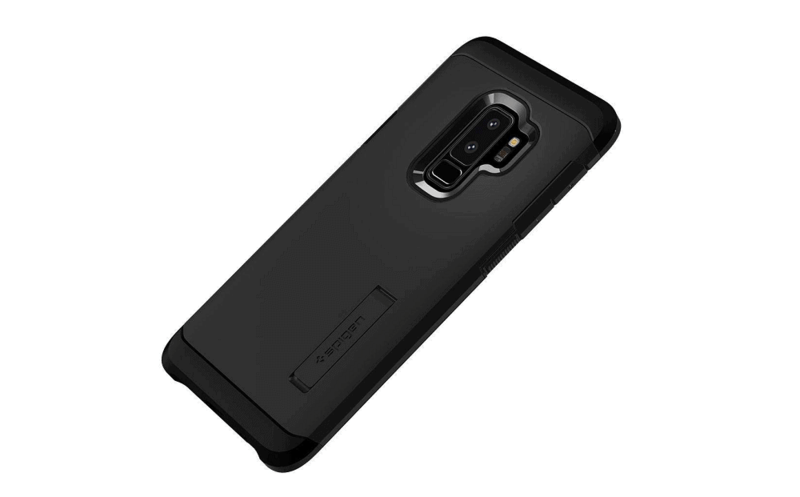 Spigen Tough Armor Case is designed to keep your Galaxy S9 secure while having features like wireless charging still accessible. 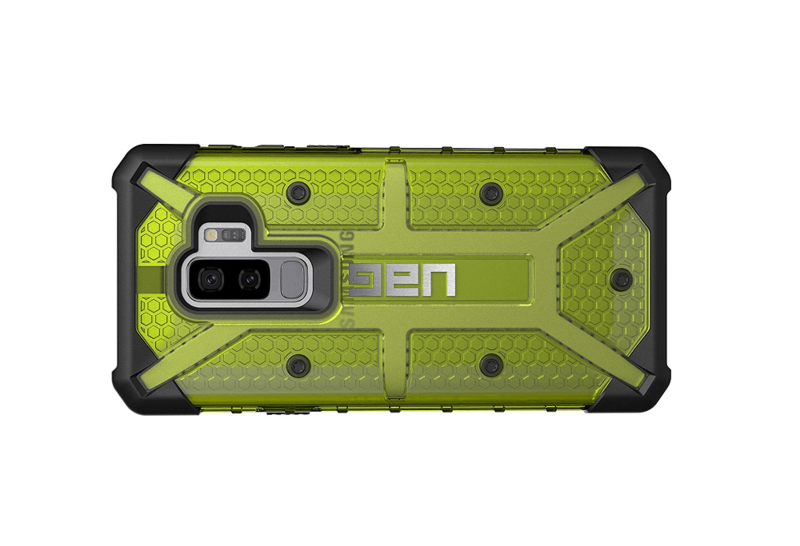 Available in 6 different color schemes, this rugged case comes with a dual-layer design to prevent shock impacts and includes a kickstand to make horizontal viewing pleasurable on the Infinity Display of the Galaxy S9. A brand that has become synonymous with premium sporty accessories for smartphones, Urban Armor Gear brings the goodness to Galaxy S9 too. Designed to withstand the heaviest impacts through its vigorous Military Drop Tests, the Plasma case remains lightweight. The hollowed-out honeycomb design is built to last a lifetime, while the grippy edges keep it firmly in your hands. Another formidable name in the business of smartphone accessories, Poetic is back once again to make your Galaxy S9 indestructible. It’s packed with a polycarbonate shell, a layer of shock-absorbing TPU, and a front-end frame with a screen protector built in. 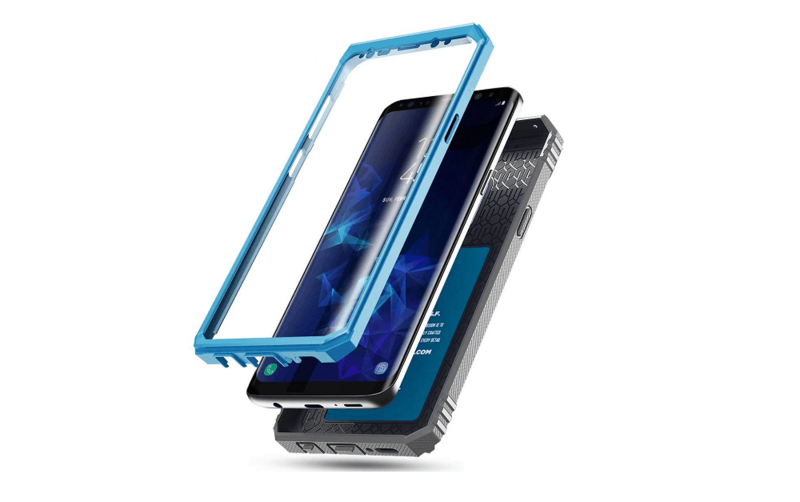 Available in Black, Blue, and Pink, Poetic Revolution Galaxy S9 case even comes with special flaps to protect the power port from wear and tear. 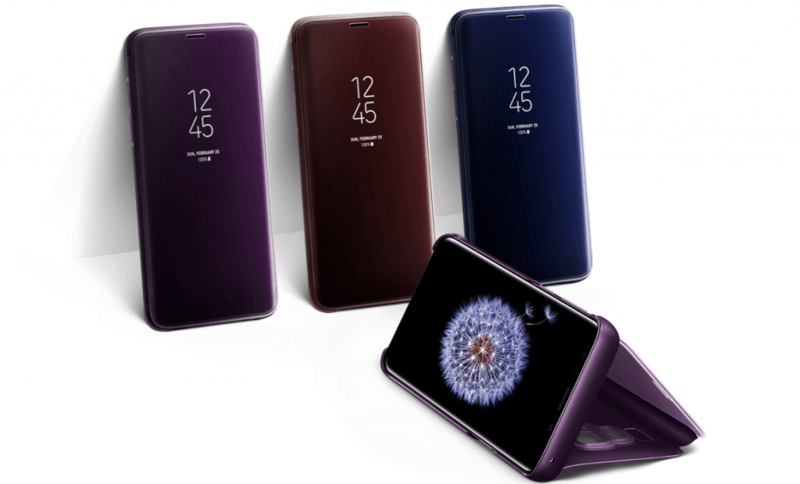 While the all-glass design of the Galaxy S9 does make heads turn, the structure has continued to be essentially industrial. To break the design barrier and add a bit of funk while keeping your phone protected, here are some of the more tasteful protective Galaxy S9 cases you can select. The Infinity Display of the Galaxy S9 and the glass panel that curves around the back of the phone is built for minimalism. 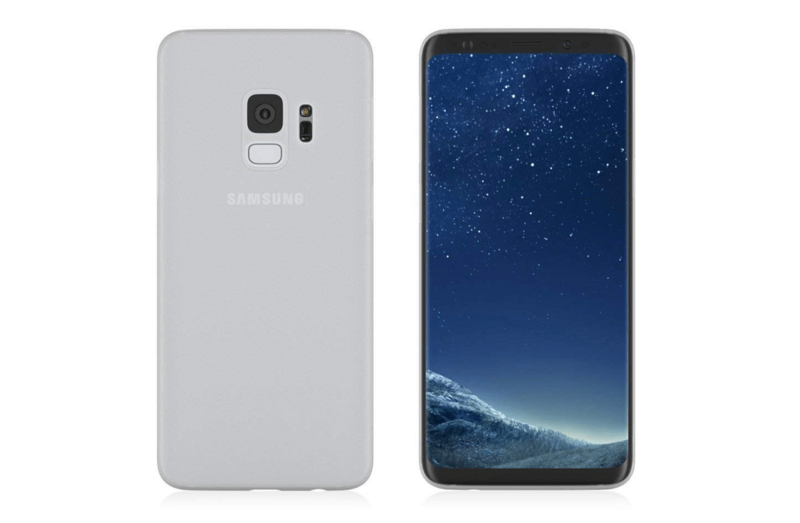 The only thing that could complement these subtle design qualities is the MNML Thin Galaxy S9 Case. Available in Clear Black, Coral Blue, Frosted White, Lilac Purple, and Frosted Black, the 0.35mm thin matte finish gives you a “barely there” look and feel. This offering is for those of you who have chosen to ditch their wallet and just carry around some cash and cards with their phone. GOOSPERY has designed a case that doubles up to not only protect the front display of the Galaxy S9 but offer an alternative to the traditional wallet as well. Available in 7 different color combinations for you to choose from, the combination of premium quality leather and durable canvas makes it quite comfortable. 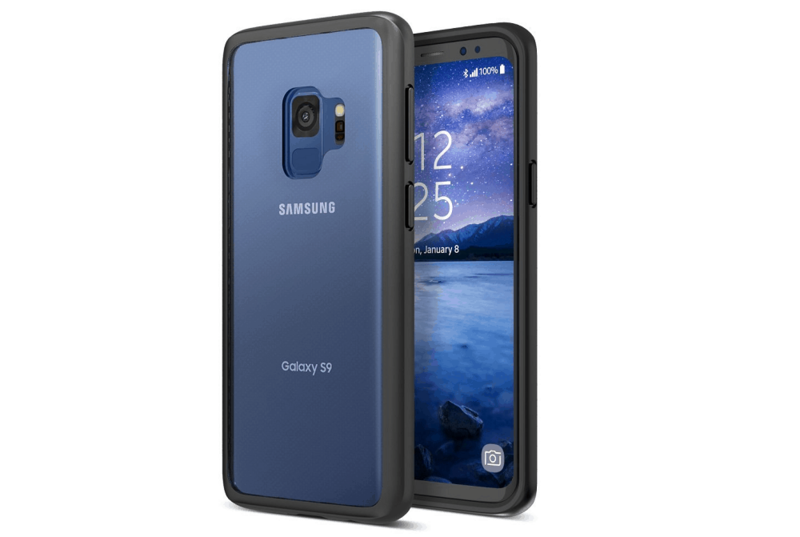 While this particular Samsung Galaxy S9 case does fall under the “rugged” category, the reason it makes to this section is due to its iconic design. Just as the name suggests, Ringke Wave comes with an ecstatic textured design that offers grip as well as aesthetic value to the phone. 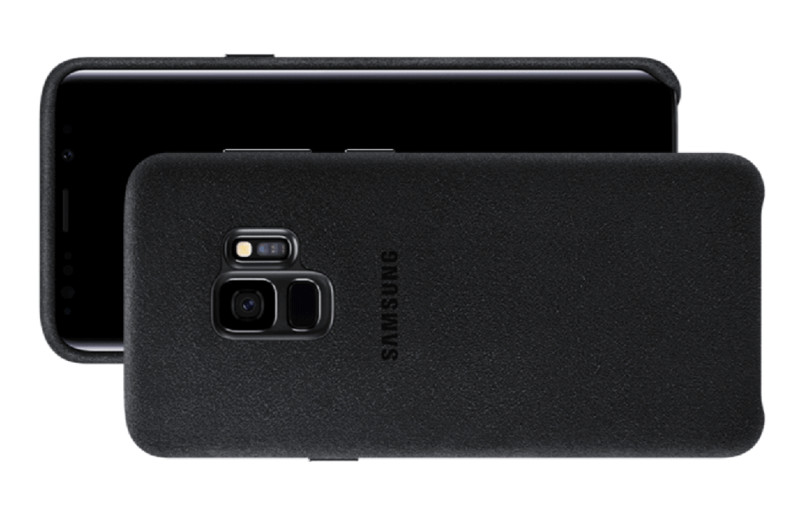 With robust protection from all sides thanks to the dual-layer design, your Galaxy S9 can last a tumble or two without any scuffs with this case. 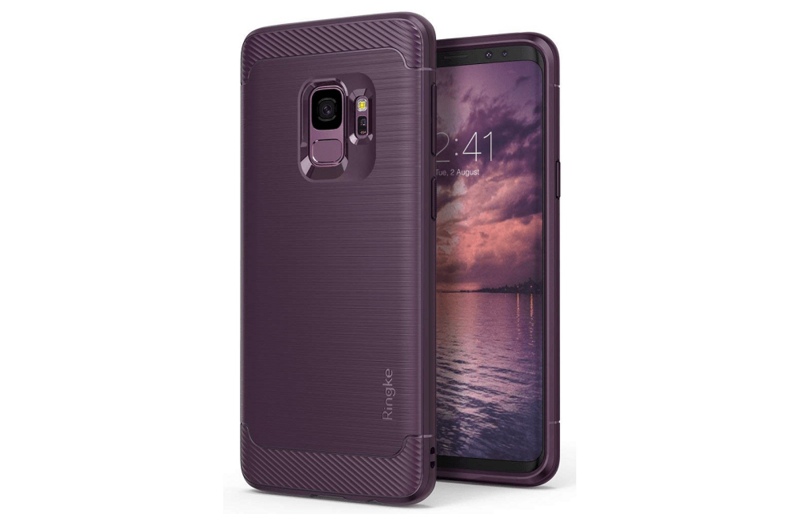 Designed especially for feminine customers in mind, Spigen has taken a simple approach towards making the Galaxy S9 more attractive. Available in different design styles like Blossom Flower, Glitter Crystal, and Rose Quartz, the Spigen Liquid Crystal case stands out. The standard TPU material is durable enough to shield the phone from drops, thanks to the Air Cushion technology. Since you’ve already spent a good fortune on the phone itself, the protective can seem like an unnecessary expense to some. In case you’re the kind of user who likes to swap out cases every now and then, getting one that fits under the budget of $10 is a possibility. 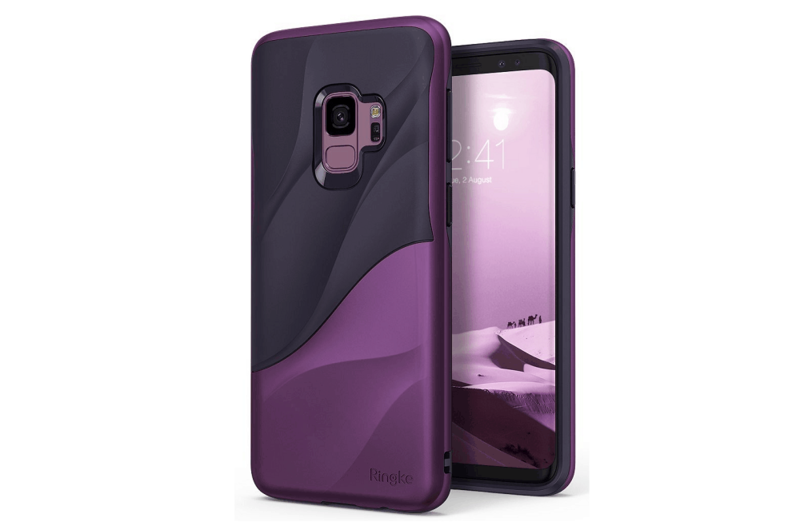 This Galaxy S9 case offers bumper-style protection to your Galaxy S9 without covering up the gorgeous back panel. Designed to help the glass-clad phone withstand the nastiest of drops, the hardened TPU bumper is available in Black and Orange colors combinations with GXD shock-absorption technology built in. If you’re looking for all-around protection on your Galaxy S9 but don’t wish to add too much bulk to it, Ringke has the perfect solution for you. This case is built with Military Grade durability and offering the iconic brushed metal effect. The Ringke Onyx Case is available in Black, Lilac Purple, and Plum Violet for you to choose from. Taking a fresh spin on the old transparent cases, the Gradient Case by BAISRKE brings a splash of colors. This smartphone case is available in an impressive 13 different colors schemes of mixed shades for you to choose from. The TPU-based material used for the case not only maintains the color quality but also comes with important touches like raised bezels to offer ample protection to the device. 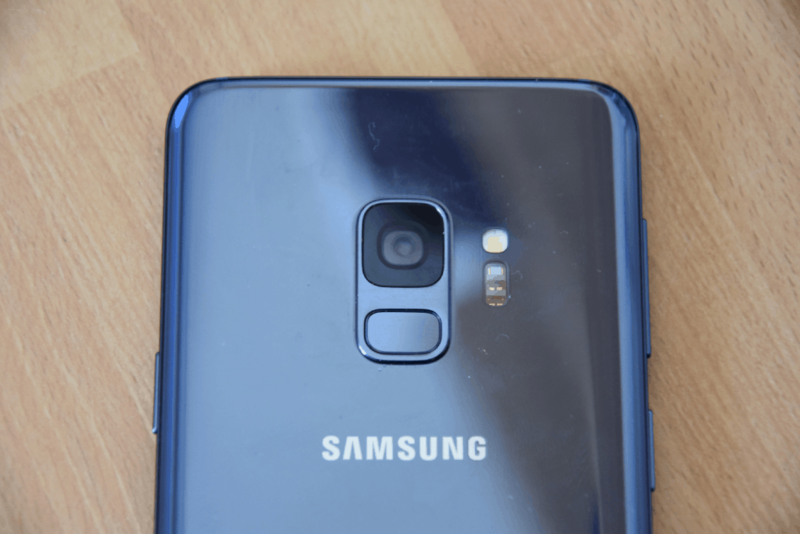 Which is the best Samsung Galaxy S9 case among the offerings that are sure to be your next purchase? Got any more latest and greatest choices that you’d like your fellow Galaxy S9 owners to be aware of? Be sure to mention it in the comments section right down below and we’ll give it a look.